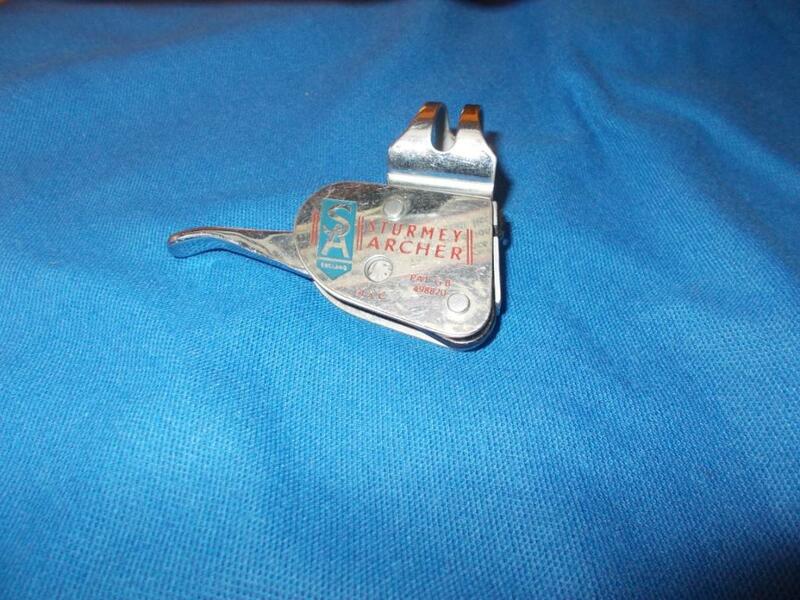 As alluded the possible component list for the Raleigh Record Ace was legendary. In the list below I have supplied some component information, mainly regarding the components I have included in the restoration of my Dad’s bike. Rims were available in either 26” or 27” diameters. Available also as an option as well for the first time in 1948 were the Dunlop High pressure 26” or 27” stainless lightweight rims. I have a set of these but have not yet built them into a set of wheels. These rims have to be inspected closely for any signs of cracks around the spoke holes. 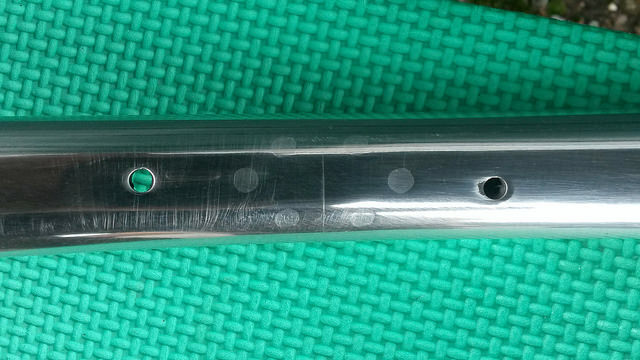 Above: A photograph showing the rivets of the rim join of a Conloy rim. Conloy contrictor ASP rims were considered to be the finest light weight alloy rims available in the 1940/50s. The company were based in East London and was formed in 1912 and lasted until the 1960s when killed off by foreign competition. Currently all the rims I have used in my restoration are Conloy 27” rims. As above I have a set of lightweight stainless rims but have not yet built these into a set of wheels. 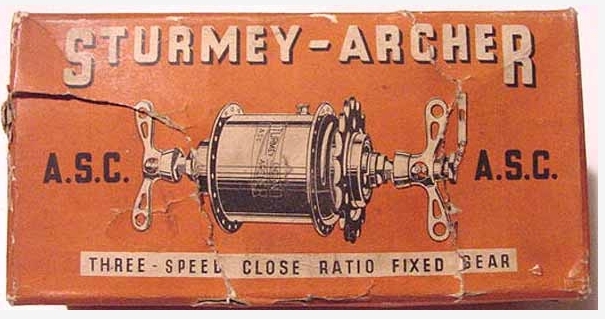 Gearing was available through Sturmey Archer hubs. Several versions were available “to order”, the 4 speed FC (close ratio) , 4 speed FW (Wide ratio) and the 3 speed ASC (fixed 3 speed- the rarest Sturmey Archer hub). It should be noted that at this time the derailleur was just starting to make its mark on the club scene. Although the “dancing chain” had made a pre war appearance the British were very reluctant to accept it on the club scene. Eventually this would lead to the demise of the Raleigh Record Ace, although its name made a brief appearance as the “Record Ace Moderne” in 1958. This was a derailleur model. Note its “continental” name which was in vogue at this time. The Record Ace has been applied to several Raleigh models since. 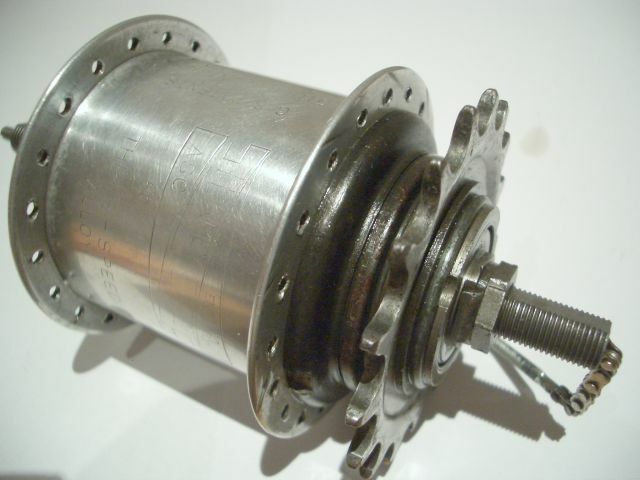 This was sold in many numbers being particularly suitable as a fast close ratio freewheel hub, suitable for mass starts. This unit was very popular in the late 1940s and 50s with clubmen who were not running fixed wheel or derailleur options. This was first announced in August 1945 but was only actually released in the UK in November 1948. It is most probable that at this time most were sold for export and as such only appeared in the UK once export orders had dried up, although early versions are quite hard to come by, if at all! 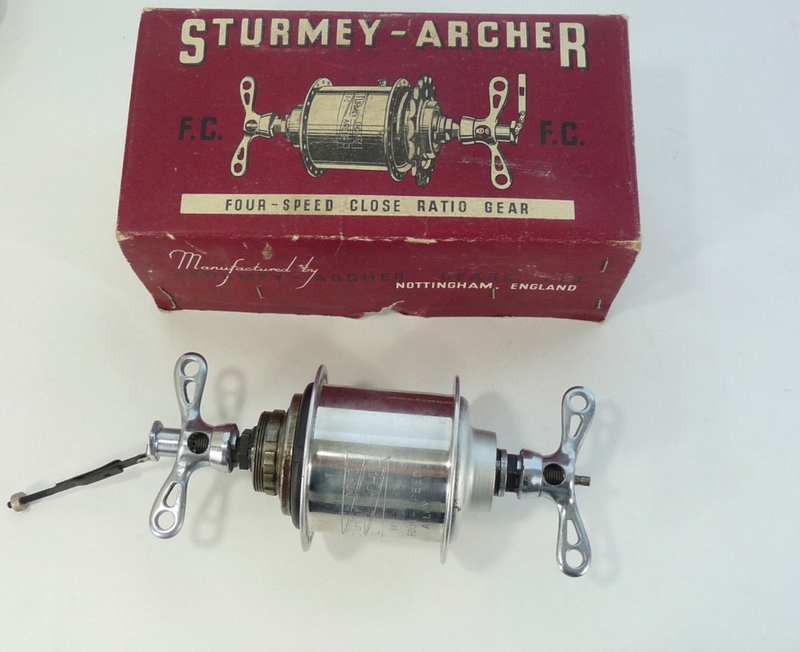 This unit is one of the rarest Sturmey Archer hub gears being 3 speed fixed. This hub should have been very popular but has some minor backlash issues which changed the fixed wheel experience. This altered the hub’s clubmans’ acceptance. Another factor at this time was the move over from fixed gear racing to free wheel derailleur combinations which was gaining traction at this time. Overall the ASC was not a success and is now a rare piece. A specific trigger is required for operation of this unit. 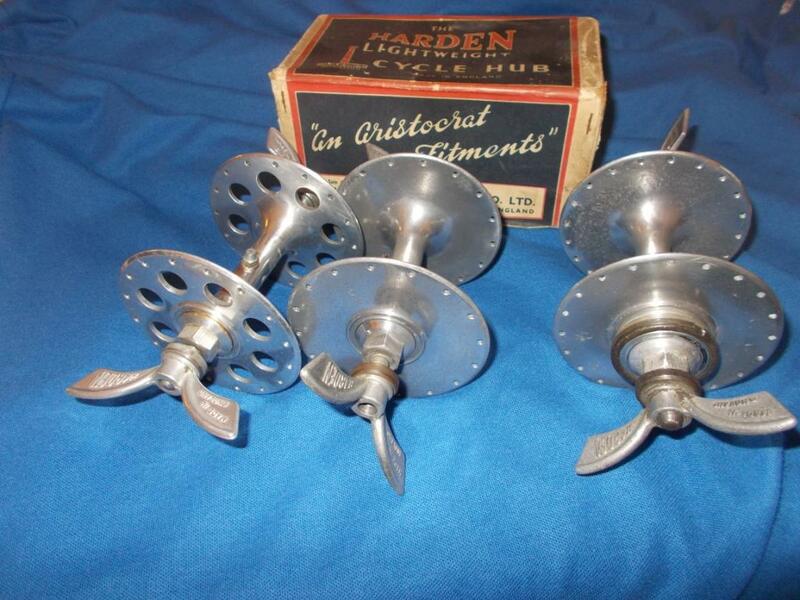 Harden hubs were made by The Harden Tool and Gauge Company Ltd in Birmingham, who had specialised in the manufacture of alloy aircraft parts in the Second World War. In peacetime they decided to venture into high end lightweight cycle components. Their products were considered to be some of the best cartridge bearing hubs manufactured in the UK. 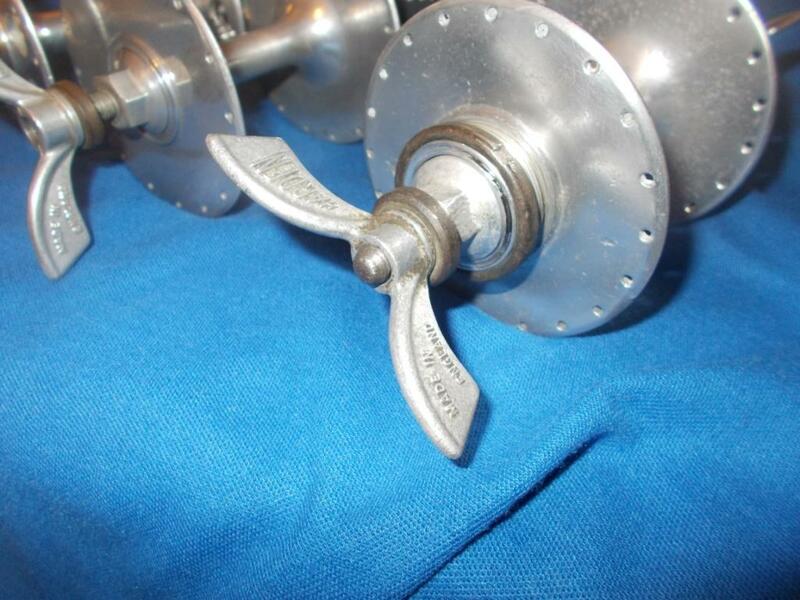 Indeed they were one of the first such hubs to be manufactured with cartridge roller bearings. They are made from one casting. Early hubs were large flanged without holes and as such were called “bacon slicers” for obvious reasons. 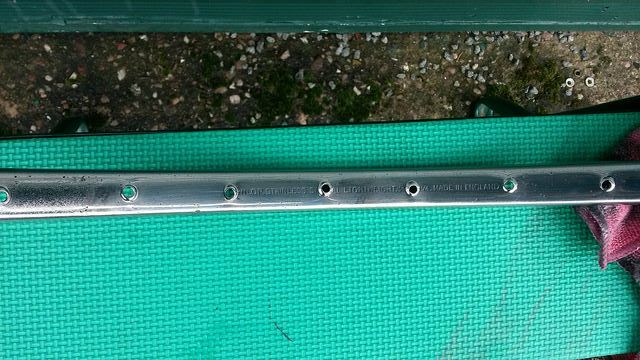 Later these were offered with drilled holes- otherwise the same design. As the original box states these hubs are “an aristocrat in fitments”. Above: Harden “Bacon Slicers: and the later model 1200. Note the matching Harden alloy wing nuts. Gorgeous!